Saturday 18 May 2019: The Auckland Faculty of the RNZCGP in conjunction with the Goodfellow Unit. This day, designed for GPs and nurses will cover the full range of topics on diabetes from pregnancy to podiatry and diet to dialysis. It also includes sections on doing things differently – having those challenging conversations or looking at new models of care within the practice. The emphasis is on dispelling clinical inertia with management tips and advice on when to refer. The aim is to provide clinical updates and guidance supporting excellence in practice; on this topic that is so relevant to primary care. Cost: Free for the day and for parking in the underground Owen Glen Carpark. Morning tea and lunch are also provided. 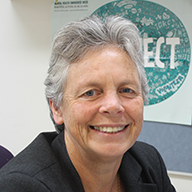 Sue works four half days in General Practice in South Auckland and as GP Liaison for Counties Manukau Health in Women’s Health, ACP, Diabetes and Integrated Care. After 4 years working in Hawkes Bay in rural General Practice and over 20 years in Otara she is passionate about reducing inequities and working to enhance primary care. 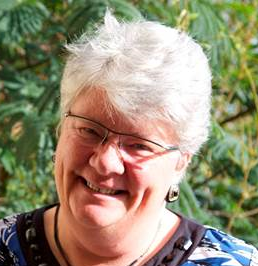 She is secretary to the Auckland faculty board of the RNZCGP and on the National Advisory Council of the GP College. She is also on the National Maternity Monitoring group and the Maternal mortality working group of the PMMRC. Zaven Panossian is a Specialist Physician, Diabetologist and Endocrinologist at Counties Manukau Health and in private practice at Mercy Specialist Centre. Zaven completed his postgraduate specialist training in Internal Medicine, Diabetes and Endocrinology. He obtained his Royal Australasian College of Physicians fellowship (FRACP) in 2012. Zaven has wide experience in the management of diabetes and various medical and endocrine disorders. He welcomes referrals from General Practitioners and Specialist colleagues. Dr Siniva Sinclair was born and raised in Papua New Guinea. Siniva is a Fellow of the Australasian Facility of Public Health Medicine and completed a Masters in Public Health. She has worked in Samoa as a Specialist Public Health Physician, has worked as a consultant for the World Health Organization in the Philippines, China, Cambodia, Vietnam, the Solomon Islands and Kiribati. She has worked for UNICEF in Fiji and the Secretariat of the Pacific Community in Samoa, New Caledonia and Fiji. In 2013 she completed the Global Health Delivery Summer Intensive Program at Harvard University. 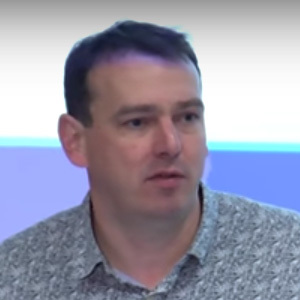 Dr Sinclair currently works at Counties Manukau District Health Board in the population health team. Her role includes evaluation, health literacy and Pacific health. Rinki is an Auckland based diabetes physician working at Auckland DHB, Counties Manukau Health, in private practice at the Mercy Specialist Centre, and as a Senior Lecturer in medicine at the University of Auckland. She completed her endocrinology training in Auckland followed by a PhD in the genetics of diabetes at the University of Plymouth, UK in 2007. She has been the medical advisor for Diabetes Auckland since 2009. Her research is in genetics and physiology of diabetes and obesity, in which she has over 40 publications and 4 book chapters. Kate is a Diabetes Nurse Specialist working in Otara South Auckland for The Diabetes Projects Trust. She also works at the University of Auckland as Honorary Professional Teaching Fellow coordinating the diabetes nurse Post Graduate paper. Kate works with a Tongan GP in Otara in a nurse lead diabetes clinic. She spends part of her week mentoring other Practice nurses in diabetes management as part of the Whitiora diabetes team at Middlemore Hospital. She is Honorary Secretary for NZSSD (New Zealand Society for the Study of Diabetes). Kate is a member of the diabetes subcommittee at Pharmac. Kate is passionate about diabetes having worked in the area for 30 years, the last 20 years here in NZ. She enjoys mentoring nurses who work in diabetes wherever they work to help them develop educational pathways. 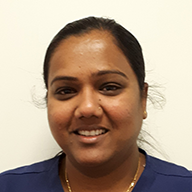 Devika is the Lead Diabetes Nurse and Nurse Manager at Greenstone Family Clinic in Manurewa. For many years she has managed patients with diabetes. She now manages all of them and starts insulin when needed. The doctors at Greenstone no longer start insulin as it is all done by Devika. She currently has only 6 patients with an HBA1c over 100 out of 368 patients. This has become the standard for other practices to aspire to. She has developed a lifestyle assessment tool which assists her in this task. Teresa is a New Zealand Registered Dietitian and has worked in Diabetes-focused roles since the early 1990’s. Her current employment is with Counties Manukau DHB. Her passion is to communicate nutrition information and diabetes self-management messages in down-to-earth practical terms; emphasizing the “how to” rather than the “do not”. Ole is a consultant in Endocrinology, Diabetes, and General Internal Medicine at Auckland District Health Board. He is the Service Clinical Director of Auckland Diabetes Centre. Ole trained in endocrinology and diabetes. In 2009 he completed his specialist training in the area of diabetes and microvascular complications. Stephanie is the Service Lead for the retinal screening service at CMH. She has been involved with screening services since the early 2000’s. Additionally, she has lectured at the Pacific Eye Institute in Suva and mentored many eye doctors and nurses in developing screening services within their home nations. Michele is a diabetes specialist podiatrist at Waitemata District Health Board. Michele does research in Diabetology.